Print innovation: The next big thing or an overkill? 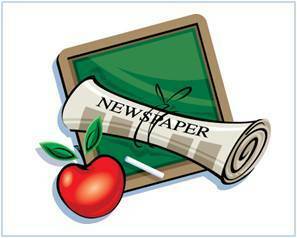 January 5, 2009, is a historic date in the annals of the global newspaper business. On that day, The New York Times, known as the Grey Lady and the Newspaper of Record ' for its obsession with dignified presentation and factual accuracy ' ran a display ad on its front page, thus making an unprecedented concession for the marketing department. Of late, Indian newspapers (which admittedly are not averse to heeding the advice of marketing) have explored several innovations which make the effort of The New York Times look tame. When VW launched its Phaton, its chief message bore the handcrafted look. And for its front page, the Hindustan Times, which took part in the campaign, used fonts that mimicked the Phaton calligraphy. For its part, the Times of India, which was once called the Old lady of Boribunder, for reasons similar to the ones that gave NYT its Grey Lady moniker, supplanted the letter "t' in all headlines with Uninor's three-leaf logo. The campaign heralded the launch of Uninor's service in Mumbai. So what's going on? Has the newspaper industry come of age as far as campaign innovations are concerned? Adgully spoke to industry notables to get a perspective. We first asked Ajit Varghese, the MD of Maxus, to explain what was spurring the zeal to innovate. As a result, Varghese said, print became a mere executioner of ideas. However, some publication groups ' such as the ABP ' aver that media innovation is a relative term. Sabyasachi Ghosh, ABP's vice-president (ad sales), pointed out that innovation could mean strategies to help a client "connect' with consumers or capture a market. A case in point is ABP-Pond's Pujor Nandini, a customised brand activation for HUL supported by print. Then there is The Telegraph "31st Nite' which seeks to connect USL with the party-hopping glitterati. "Today, leading dailies across regions are experimenting widely in the third space to counter competition from TV in the battle for ad revenues," Ghosh said. "Cover on cover, text wraps, die cuts, jackets and gatefolds ” which were all regular properties of magazines ” have found a place in the dailies." Ghosh said that some newspapers have gone to the extent of changing their brand mastheads and their fonts to satisfy a brand's launch needs. "That have a damaging effect on their own brand equity, in my view," Ghosh said. He said that the foremost duty of a daily newspaper was to uphold the sanctity of its editorial character. "If that role of the newspaper is compromised, it is bound to raise questions about its credibility." But experts from the ad world, like Divya Radhakrishnan, the TME (India) president, want print to go even farther. "Print better be bold. They lost 200 crores of revenue in 2009," Radhakrishnan said. "So they have no choice and have to stop being hoity-toity about it and start selling everything they have to sell. I don't remember any print innovation lately which has caught my attention. They are doing everything from front to jackets to editorial to whatever". "Innovation is a highly misused word in print advertising," Paul said. "Anything with a front-page flap is termed as innovation. I have not seen anything in mainline print media that made a significant contribution to print innovation!" But Paul conceded that print advertising carried potential. "Innovation in print is the future," he said. "We've been seeing some efforts in this direction. But nothing significant has emerged so far. Am sure it's just a matter of time before a big brand breaks through." For Varghese of Maxus, innovation means a tactic that works organically with the overall strategy. He drew attention to the fact that HT had come out with cutomised editions during the IPL in which readers got editions featuring the teams they were supporting. "Two years ago, you would not even have thought of it," Varghese said "It was an idea which doesn't even strike the owner. Today print owners are seeing the difference between assured business, which was a reality for the past 15, and today's digital thrust, which is represented by a growth of 25-30%. Print is saying, "now I have to make myself more relevant to continue getting those businesses." He said the changes were indeed sweeping through print. "There were sales-related deals whose premise was: if I increase your business in Rajasthan I will charge you this much. Today, there are deals of the nature embodied in TOI's private treaties; or there are deals whose premise is: I will build your brand." Sanjeev Kotnala, the VP MarComm of Dainik Bhaskar Group, defined innovation as the outcome of a mindset being aligned to experimentation. "For example, all copies of the special Holi issue brought out in Jaipur wore the gulal aroma," Kotnala said. "Now, that tactic can be used to project a perfume, food item, or deodorant. Another Bhaskar innovation was the Bhopal edition dated 3rd December 2009, the anniversary of the gas tragedy. The edition was completely in black and white, as our mark of respect to the victims." So experimentation is becoming entrenched. Is it a good sign? Gitanjali Sriram of Naked Communications had an interesting take on that. "Print is "trying' to get bolder but turning out to be quite annoying," she said. "Most of the print innovations have obviously not been researched because consumers would tell you how hard it is to hold up a newspaper where the front page has been chopped to a quarter, or that magazines with a double gate-fold on the front cover keeps slipping from your fingers. Now, if only they could be creative and inventive with print copy. That would catch my attention!" On the other hand, Tanvi Garg, the associate media director (media direction) Specialist Media Services Group of RK SWAMY BBDO, suggests that innovation was yielding some excitement to the readers. "Imagine waking up one morning to see your favorite IPL team, Mumbai Indians, on the front jacket of your paper," Garg said. It happened with HT readers this April. "So while you relish reading about your team, your neighbour gets a regular jacketless paper. All you had done was voted for your team on SMS. He didn't. What a coup!" Garg said that with every medium fighting for its share of advertising pie and with increasing threat from TV and now digital media, publications need to innovate. "With multiple ads on every page of almost every publication, catching reader eyeballs is a challenge," she said. "And advertisers and marketers are rising to the occasion. I was pleasantly surprised this year at Goafest where I judged the "Best use of newspapers and magazines' category. The number of entries and the quality has improved noticeably in the last couple of years. I was impressed with TATA's "Nanovations' (a series of compact yet powerful innovations) in which "News in Brief' columns were renamed as Nano News and cartoonist RK Laxman created a special Nano cartoon. Equally impressive was the high impact TOI roadblock done by Volkswagen." What's interesting is that conservative publications like The Hindu & ABP have also started accepting innovations, Garg said. "For example, for LIC we associated with FIFA News in ABP," she said. "A word of caution though, Innovations are great but unless they work for your brand it's just your client's money wasted."